Technology continues to change everything, and work is no exception. In just a few years, we have seen companies emerge from Uber to Instacart. New digital platforms are emerging that explore different business models. Marion McGovern founded M Squared Consulting and Collabrus. Her new book Thriving in the Gig Economy: How to Capitalize and Compete in the New World of Work, is a thoughtful exploration of the new world of work. Whether you’re looking to make some extra money or you’re in management, you will want to familiarize yourself with these trends. Before I answer that question, let’s clarify the meaning of the word “gig.” The term was first used with jazz musicians in the 1920s, where they would book one club for a week and another for a few days in a different club across town. A gig referred to work that could vary in duration and was for a variety of employers. So gigs have been around for a long time. I started my company, M Squared Consulting, in 1988 to match independent consultants with projects. It was a gig economy company long before the term had even been coined. 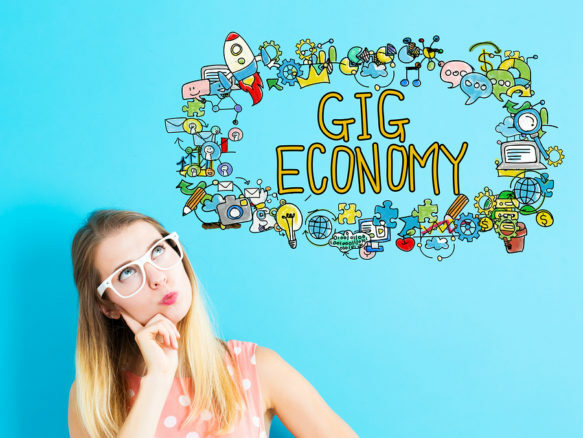 The “Gig Economy” refers to the people who work independently for a variety of entities as well as the companies that enable that work, both the new digital talent platforms, as well as traditional intermediaries and staffing companies. Additionally, you could include the vast eco system that has sprung up to support this work, including co-working space, productivity apps, collaboration tools, and financial service products targeted at the independent workforce. Successful gig workers have grit, resilience and learn from mistakes. A few years ago, you received two calls that got your attention in a new way. How did that alter your thinking? Actually there were three random and unrelated calls from venture capitalists and private equity guys who wanted to talk to me about digital talent platforms. One idea was for a platform for professional moms who wanted to work flexibly after the kids were older. Another was to build a pool of on-demand oil field services workers in Western Africa, and the third was to create a product to hire recent college graduates into entry level management positions in a way that would require no human intervention. All of the players were technologists who had never run a service business, let alone a people-intensive one. Much of the magic was to be in the algorithms which would match talent and opportunity seamlessly and quickly. Many of the fairly basic questions I asked—like who would hire the moms? Would they be employees or contractors? And how would the platform make money?—had not yet been answered. 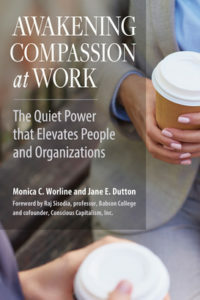 I was struck by the disconnect of talent being the most important thing to the success of an organization, but nonetheless the goal was to eliminate humans in the process of securing that talent. It inspired me to take a much deeper dive into the burgeoning world of digital talent platforms. How is the Gig Economy growing? I remember when my grandfather retired many years ago. He had been at the same company for decades. My father, too, worked for one employer for the majority of his career before retiring. Today, it’s not uncommon to change employers every few years. Millennials especially move around. After all, companies aren’t as loyal to employees as they once were, so it’s only natural that employees’ loyalties have also shifted. What are the implications of these changes? What should companies do? Lee Caraher has built several companies, and she’s an expert on Millennials. She argues that it’s important to create long-lasting relationships with your employees even after they leave. In today’s environment, you want them to be raving fans of the organization no matter where they turn up. I love this philosophy. 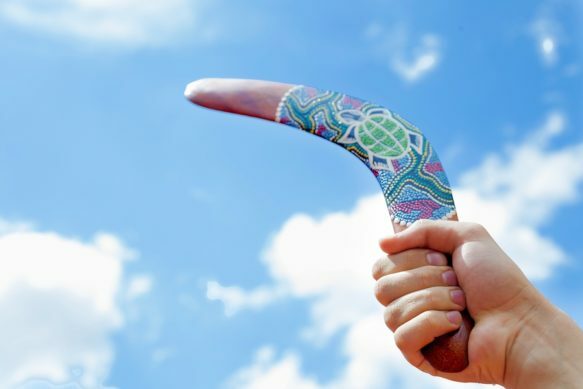 I followed up with Lee to ask her more about her experience and research into what she calls The Boomerang Principle. 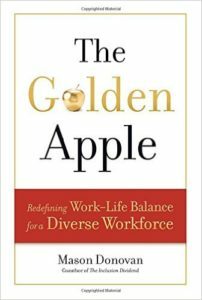 Lee Caraher is the CEO of Double Forte, a national PR and social media firm, and the author of The Boomerang Principle: Inspire Lifetime Loyalty from Your Employees. 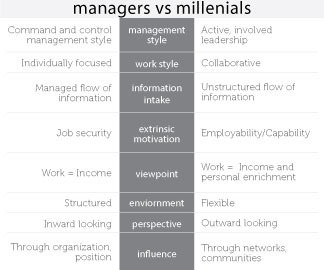 What organizational traits do Millennials look for? 83 million millennials are in the United States. That’s 36% of our workforce today and 75% by 2025. How do we best connect with this next generation? How do we attract and retain them? What’s the best way to care about their success? Dan Negroni’s new book, Chasing Relevance: 6 Steps to Understand, Engage, and Maximize Next-Generation Leaders in the Workplace, tackles the challenge. Dan is the CEO of launchbox, an attorney, a sales and marketing executive, and an expert on the millennial generation. I recently asked him about his work empowering the next generation. 60% of the world’s population is under 30. Is today’s generational divide greater than the ones that have come previously? Yes, the difference surrounds how this generation was raised versus others. The first difference is technology. The rapid change in it and the connectivity in the world and dynamics of social media have changed the nature of who we are and how we interact. We have focused less on the interpersonal and more on the phone or device as a means of communication together with the immediacy of action. This generation wants action and now. 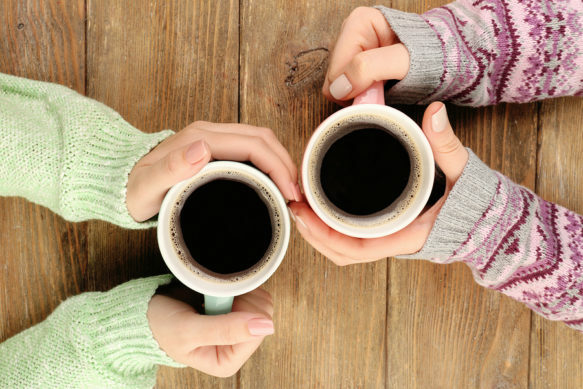 Millennials are not schooled in relationship-building skills, so they are not wired to connect. This is the biggest difference. Instead of dealing with the differences, we are just complaining that millennials are not good enough. 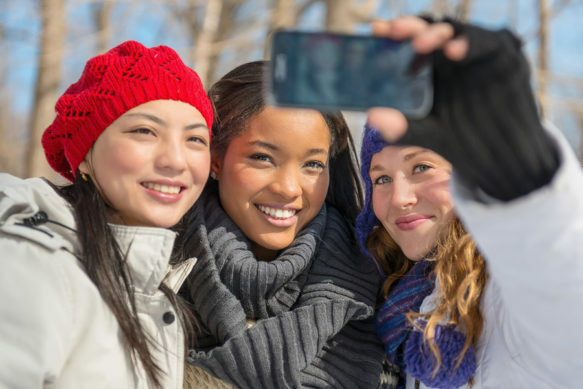 Do the following statements about millennials ring mostly true or mostly false? They have a sense of entitlement, and expect everything now! They’re lazy and don’t want to work hard like we did; work/ life balance is more important than hard work. They are disloyal and jump ship if they are not engaged or growing. They have different career goals from non-millennials. They don’t deal well with authority. Here’s the answer: It was a trick question. All these are true . . . and false . . . and none of that matters. They are assumptions—myths, really—and there is no right or wrong when it comes to them. That’s because while myths, assumptions, stereotypes—whatever you want to call them—may be false as blanket statements (“all Americans are overweight” and “all fashion models are anorexic”), they come from a place of partial truth (more than two-thirds of Americans are overweight and many models are unrealistically thin). But who wants to be viewed through the lens of myths like these? Consider the quiz from the other side. Do the following statements about non-millennial managers ring mostly true or mostly false? They are only in it for the money. They are inflexible and don’t like change; they’re stuck in their ways. They are so not tech savvy. They don’t care about their teams or people. They are “hard graders” and couldn’t care less about recognizing others. They are afraid of nontraditional approaches. If you are a non-millennial manager, does this sound like you? Or sound like how you want to be perceived in this world? Well, these are the things most millennials say about us. How much is true? Not much. Just as you are guilty of creating myths that lead to disconnect and frustrations with millennials, they are guilty of perpetuating myths about you. 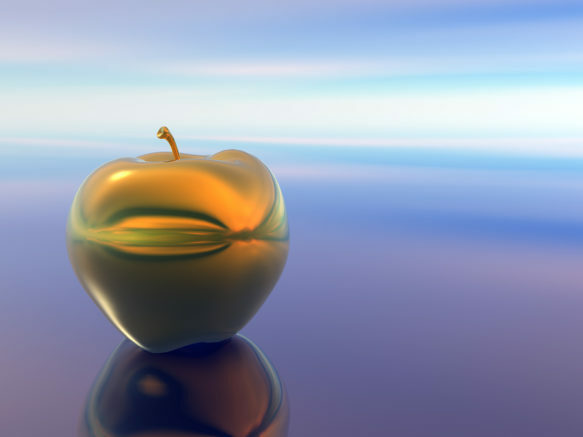 The secret to job and life satisfaction is internal self-awareness and growth. Youth in general is a time where, if we can understand ourselves, we can start to create a journey to build great careers and lives. Millennials in particular require training on how to understand and accomplish learning about themselves to impact the world. We believe the secret to success is predicated on understanding yourself to impact others, and they need help to learn how to engage themselves in the world and subsequently to create a talent and career track. If we can have them connect to their inside motivation and goals, we can universally have them succeed along their journey.